Train Railroad Bronze Antique 12" Locomotive Bell, Signed Prime Milw. A polished bronze railroad locomotive bell is signed "Prime Milw (Milwaukee?)" and has a cast iron clapper. The bell hangs from a heavy iron mounting plate and has been fitted with a brass knob on a shaft which actuates the clapper. A loud, resonant ring is bold and bright on this early 1900's train antique. The original 4" brass actuator was operated by steam or compressed air and is included. 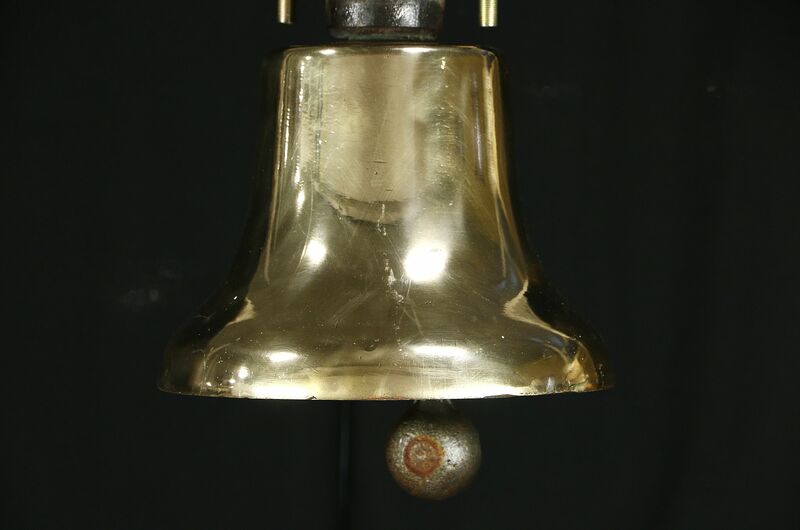 The bell itself is 12" diameter and 9" tall, overall height is 16", it weighs 43 lbs. Please view 9 photos at full screen size for best detail. Related items in photos are sold separately.